Name : Charlie Bit My Finger! Attack 1 : Crying AHHHHHHH! Flip a coin. 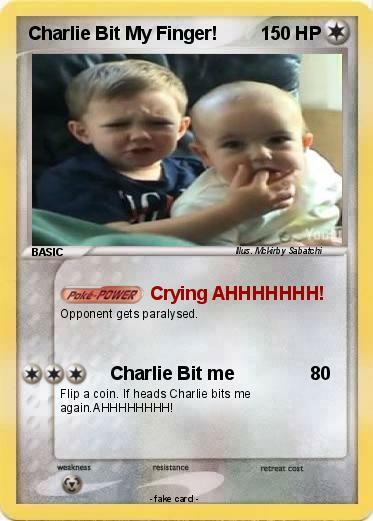 If heads Charlie bits me again.AHHHHHHHH!